"According to the UNEP study, an annual investment of $45 billion to biodiversity conservation worldwide could safeguard about $5 trillion in ecosystem services – a benefit to cost ratio of 100 to 1." 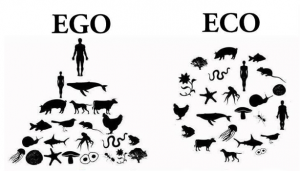 -Bill Jones "Economic Value of Lake Ecosystem Services"
I was doing some research for my socioeconomic and lake ecosystem services project the other day when I came across this 2010 article by Bill Jones. It's a great (and short!) read on the economic value of ecosystem services that is absolutely worth checking out if you're interested in the subject. The above quote is my favorite from the article. 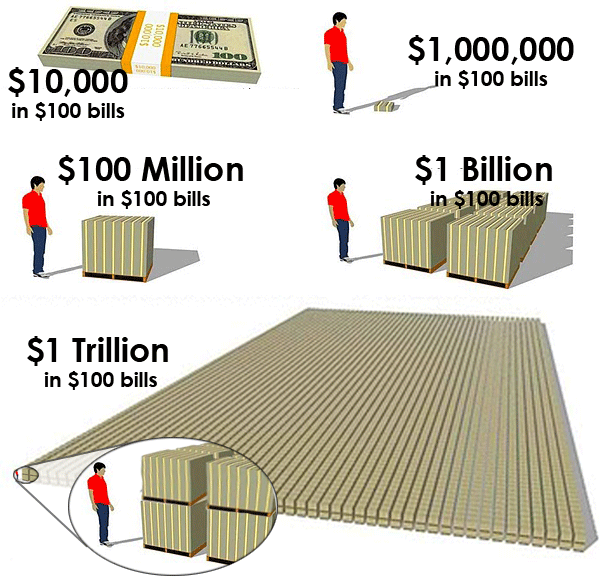 And, just for kicks, below is a link to an infographic of exactly how much one trillion dollars is (now keep in mind, above he's talking about five trillion dollars). Enjoy! Ahoy! My name is Tim Campbell and I grew up in the wicked cool state of New Hampshire. I am a rising junior at Bates College where I am majoring in Geology and Political Philosophy. 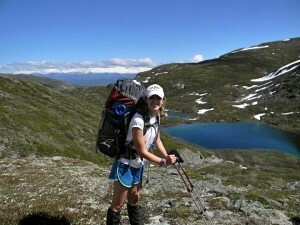 When not in the field or reading in the college coffeehouse, I enjoy backpacking, skiing, and playing ultimate frisbee. This summer I am part of the crew researching groundwater seeps. Specifically, I am attempting to spatially characterize the various seeps in the Hubbard Brook Experimental Forest by conducting a valley wide survey. As you read this you may ask yourself, “what is a seep?” Seeps are “wet” spots on the side of hill slopes and are controlled by groundwater upwellings. Seeps have drastically different water chemistry than nearby surface water catchments, suggesting that seeps originate from different sources and travel along separate flow paths than surface streams. Groundwater seeps exhibited perennial and persistent flow, unique vegetation, upslope accumulated areas smaller in area than common stream initiation sites, and higher pH values. Due to higher pH values than nearby streams, seeps have the potential to buffer stream acidity within watersheds regardless of flow conditions. Before it is possible to evaluate the significance of seeps, understanding their spatial characteristics is required. seeps are cool, but don’t know why. Hello, my name is Sam Gersie and I’m from northwestern New Jersey. Believe it or not, it’s actually pretty nice there. 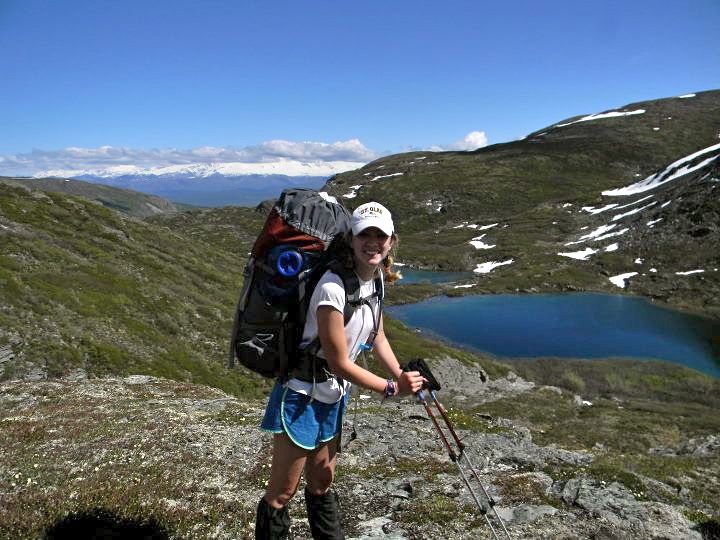 I am a rising senior at the University of Vermont, with a major in Environmental Science and minors in Forestry and in Geospatial Technologies. I love to hike, canoe, and listen to good music. Here at Hubbard Brook I am working on a project reconstructing forest history. I am working under the guidance of Drs. Scott Bailey and Charlie Cogbill. The project involves looking at tree cores that have been taken all over Hubbard Brook Valley and analyzing them for growth releases. When a tree has a favorable growing season the ring for that year is larger. These years normally occur when a tree receives more sunlight due to another tree next to it dying. By finding these growth releases it is possible to tell when disturbances occurred in the forest. The two main disturbances to happen in Hubbard Brook include logging in the early 1900’s and a hurricane in 1938. Since we know the exact locations of the trees that have been cored, it is possible to tell when and where disturbances happened in the forest. The second part of my project will be to enter this data into GIS format to present a spatial view of the disturbance history at Hubbard Brook. Hey! My name is Seth Lutter and I’m from the Finger Lakes region of New York State. I am a rising junior majoring in Natural Resources at Cornell University. 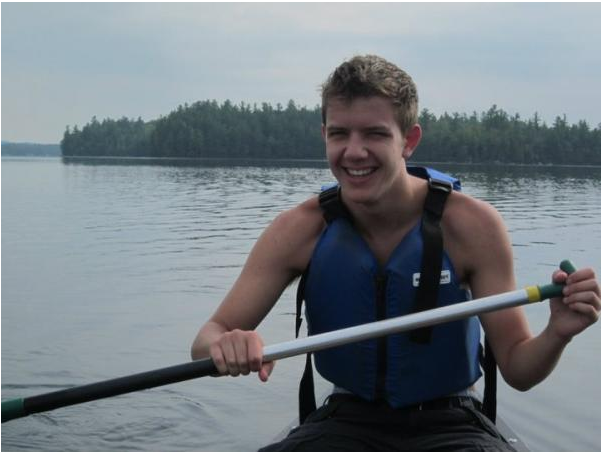 I love sailing, biology, and being outdoors! At Hubbard Brook I am working with Claire Bayer, a first year PhD student who is studying salamander food webs using simulated streambeds. I plan on observing the behavior of Two Lined salamander larvae in the presence and absence of their occasional predator, the larger Spring salamander. Since the salamanders are active at night, I might become a bit nocturnal by the end of the summer. So far I am having a great time hanging out with the other interns and residents at Pleasant View Farm. I hope to spend my time off hiking and getting Russell to teach me how to climb! 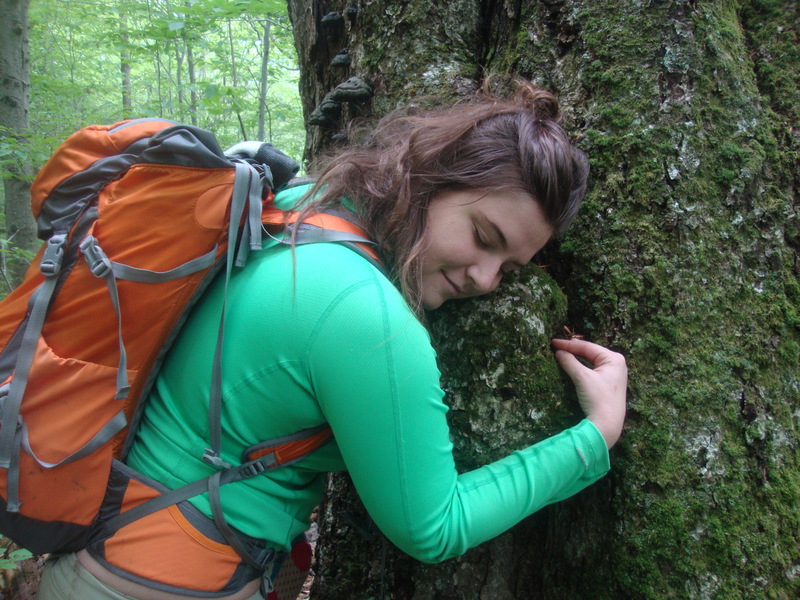 Bonding with a tree in Hubbard Brook! 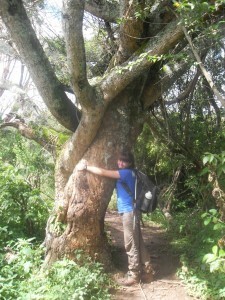 As you can see in the picture - I'm a tree hugger! 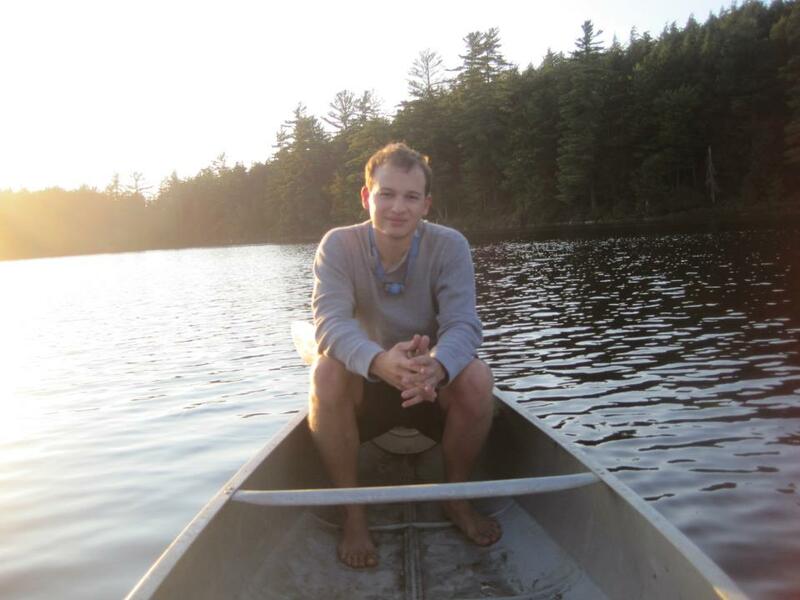 I'm Shannon and have been making the most of this beautiful experience at Hubbard Brook. I hail from the State of Delaware - about 500 miles South of here. I study at the University of Delaware and will graduate with a major in Agricultural and Natural Resources and a minor in Wildlife Conservation. I enjoy being in nature and it's a nice change to be in the mountains for the time being. Besides making an impact on the world my passions include writing poetry and essays, photography, hiking, swimming, and admiring the creative endeavors of others. My project extends beyond Hubbard Brook, with control plots at Jeffers and Bartlett. We measure the rate of sap flow on hardwood trees - specifically Sugar Maples, Yellow Birches and American Beeches. At each site there is a control plot and a treated plot. We are trying to see which treatments increase the rate of sap flow and then increase transpiration. We are still setting up some sites but once they are finished, I will start my own personal research. I have decided that I would like to see how ground vegetation differs in the plots with a focus on how the soil pH effects them. Hey, everyone! I am Jill Hautaniemi, a rising senior at Dickinson College in Carlisle, PA. I am double majoring in Environmental Science and biology with a focus in plant conservation. I grew up in Old Lyme, CT, right on the coast of long island sound. Like the other REU students I like to spend time outside, hiking, climbing trees, skiing and swimming. However, I also enjoy playing clarinet, bellydancing, birdwatching and READING (so many books). I've always really loved trees but this summer I have the chance to fall in love with the forest understory! This summer I am working with Dr. Natalie Cleavitt on her long-term round-leaved orchid project. Round-leaved orchids are a rare type of flower found in the hollows of Hubbard Brook's forest. To date, not much research has been devoted to understanding these amazing plants and their life history. Currently, we don't even know what species is responsible for their pollination! My research this summer is going to focus on pollinators, setting up motion activated cameras by the flowers to identify the species responsible for pollinating the orchids. Additionally I am going to look at the spatial distribution of flowering orchids and how this affects the individual flower's probability of being pollinated. So far I am having a really great time crawling around on the forest floor, discovering new individual orchids, and hiking around the Hubbard Brook Forest! Hello everyone! My name is Liza Tetley! I grew up right here in the White Mountains of New Hampshire, and have grown to love and appreciate this area. I will be a junior at Plymouth State University this fall, and am majoring in Environmental Science & Policy with a Community and Environment focus, and a self-designed minor in Recreation Studies. I love being outdoors and this summer I hope to hike, climb, and swim as much as possible! Being from the area, I’m excited to show the other REU students around! 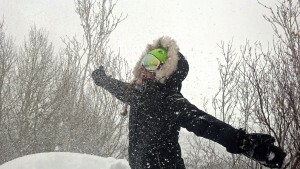 Aside from all the summer activities I enjoy, I’m an avid skier, I like to paint, and catching snowflakes on my tongue is a favorite winter pastime of mine. This summer, under the mentorship of Dr. Gene Likens, Dr. Joe Boyer, Dr. Shannon Rogers, and Don Buso, I’m working on the Socioeconomic and Lake Ecosystem Services of Mirror Lake REU Project. Specifically, I’m interested in studying the relationships between the cultural value and environmental quality perceived by residents of the watershed and users of the lake/beach. I’m exploring whether the environmental quality of Mirror Lake affects the cultural services it offers to the public. I hope to get a general idea of the public attitude toward Mirror Lake and how knowledgeable people are about the ecosystem services it offers. Aubrey Tyler, another REU student, and I will be creating and administering a survey to the residents of the Mirror Lake watershed, as well as a shortened version to beach goers. My research will set a foundation for resurveying and reanalysis of comparing changes in trends and relationships between perceived cultural value and perceived environmental quality of the Mirror Lake ecosystem. Enjoy our blog! We will all be updating you on our research throughout the summer! 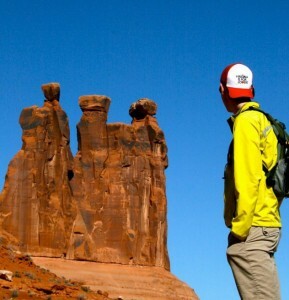 Hiking in Arches National Park (Moab Utah). I am Russell Callahan. I grew up in the Blue Ridge Mountains in Southwestern Virginia. 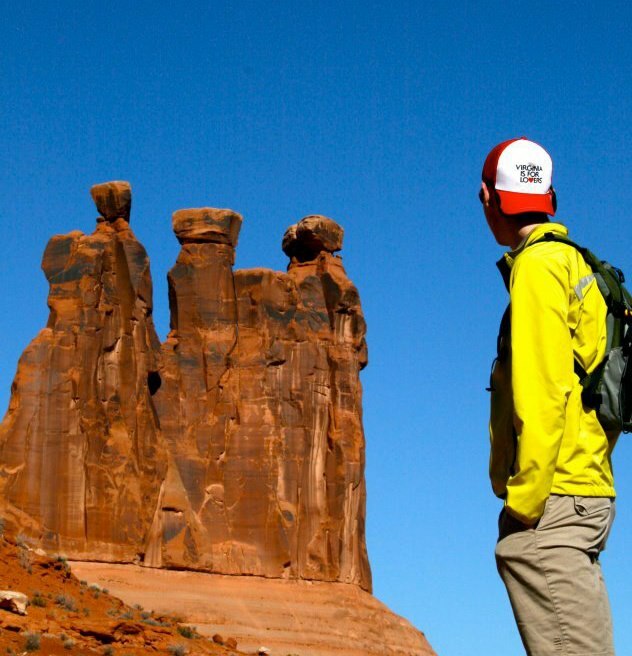 Growing up I enjoyed hiking, biking, and canoeing with my family. Next semester I will be a junior at Montana State University in Brozeman Montana. I am majoring in Geospatial and Environmental Analysis and Environmental Science with a Soil and Water Science option. I really enjoy the Bozeman area where I am able to climb, hike, and snowboard on the weekends. At Hubbard Brook I am working on a research project that is studying the spatial distribution of seeps in the Hubbard Brook Valley. I am also working on characterizing the soil in the seeps. A seep is an area where ground water comes to the surface. Seeps are often characterized by areas that are permanently wet, and have unique vegetation. I am working with Dr. Scott Bailey, Dr. Kevin McGuire, and graduate student J.P. Gannon. So far I am enjoying my time in New Hampshire, I have spent most of my weekends hiking or rock climbing in the beautiful White Mountains. Working and playing outside everyday makes it very easy to fall aSEEP each night at Pleasant View. 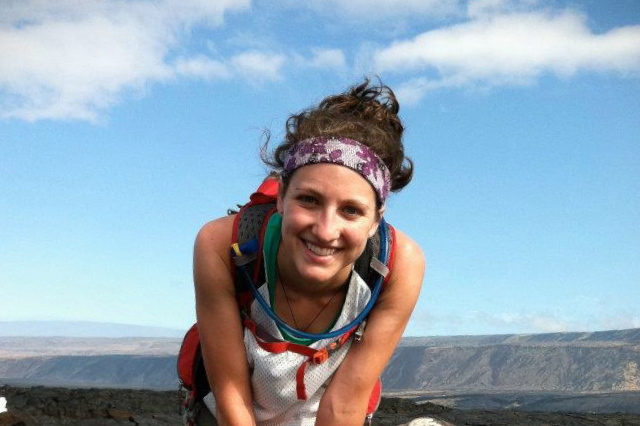 Studying lava flows on Hawaii's Big Island. I'm Carly Ellis, and I'm from the South Hills of Pittsburgh, PA. I go to Hobart and William Smith Colleges on Seneca Lake in New York. I am a Geoscience and Environmental Studies double major with a minor in math. I started doing water quality research last summer on eight of the Finger Lakes in New York. This summer, at Hubbard Brook, I have three research mentors and two projects to keep me busy. My mentors are Dr. Gene Likens, Don Buso, and Tammy Wooster. For one project, I am calculating the salinity that enters the Northeast Inlet of Mirror Lake. This salt comes from the road salt applied to I-93. I plan to determine whether or not the berm between the lake and I-93 is properly diverting the salt. For my second project, I am comparing the water chemistry of four different seeps throughout the summer. A seep, similar to a spring, is a place where groundwater comes to the Earth's surface. We are hoping that my temporal seep study, paired with Tim Campbell's and Russell Callahan's spatial seep study, will help us understand why seeps are important to the Hubbard Brook Valley. Hi there everyone! Welcome to the 2013 Hubbard Brook REU blog! My name is Aubrey and I’m from good ol’ New Hampshire. I am a rising senior at St. Olaf College out in Northfield, Minnesota majoring in both Environmental Studies (social science) and Studio Art with a minor in Middle Eastern Studies. I love to hike, so one of my goals for the summer is to hike as many weekends as possible. I’m also a big fan of peanut butter cookies, wool socks, and ultimate Frisbee. This summer I will be spending my time researching how the residents and users of Mirror Lake value its services economically. 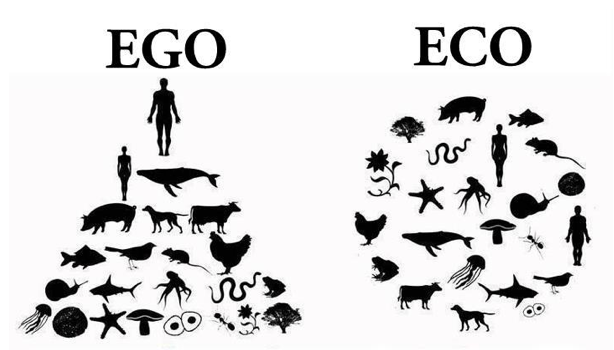 My goal is to get an estimate on peoples’ willingness to pay for ecosystem services (ranging from recreation to climate regulation, etc.) and how willingness to pay is related to knowledge of the lake, length of time spent living in the watershed, and other demographic information. Gaining an understanding of how watershed residents and lake users value the space monetarily would assist future researchers in determining the overall economic value of the lake and also would help town legislators determine what sorts of economic aid programs would help in supporting Mirror Lake. When it comes to gauging public opinion, survey techniques are the most effective way to get large quantities of data from a population. Along with Liza Tetley, another REU student, I will be creating and administering a survey for local residents over the next few weeks. Together we will be working to create a foundation of socioeconomic and cultural research to be used in the future. I will be working under the mentorship of Dr. Gene Likens, Dr. Joe Boyer, Dr. Shannon Rogers, and Don Buso. I’m excited to get to know the lake, its residents, and to do some good research!